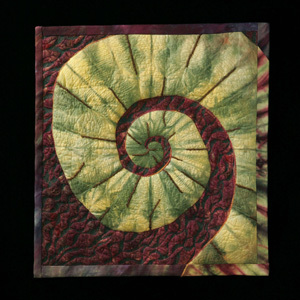 Sit back and enjoy a thought-provoking look at how some of today's most talented quilt artists use the quilting stitch to add levels of meaning and depth to their work. Create or evoke an image. Add layers of complexity to their work. She also discusses how and why some artists use quilting to build up the surface of their quilts while others use it to "subtract" material.